My resume is available in postscript and ASCII form updated in April 1998. Dissertation title: "Automatic Recognition of Facial Expressions Using Hidden Markov Models and Estimation of Expression Intensity. (Technical Report of the Robotics Institute: CMU-RI-TR-98-31)"
Research title: "Automatic Registration of Multi-Resolution Multi-Sensor Satellite Images Using Wavelet Decomposition." Advisors: Professor Takeo Kanade and Professor Ching-Chung Li. Research title: "Ultrasonic Imaging System: Hardware and Software." 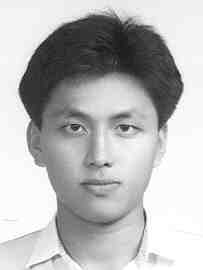 "Facial Expression Coding, Extraction and Recognition," International Symposium on Multimedia Information Processing, Chung-Li, Taiwan, Dec. 14-16, 1998. "Connection between Real and Virtual Facial Expressions," Emerging Multimedia Techonologies for Next Generation Internet, Newark, NJ, Nov. 20-21, 1998. James Jenn-Jier Lien, Takeo Kanade, Ching-Chung Li and Jeffrey F. Cohn, "Determination of Hidden Markov Model Topology for Facial Expression Analysis." Submitted (1999) to IEEE Transactions on Pattern Analysis and Machine Intelligence. James Jenn-Jier Lien, Takeo Kanade, Ching-Chung Li and Jeffrey F. Cohn, "Automatic Recognition of Facial Expressions Using Hidden Markov Models and Estimation of Expression Intensity." Submitted (1999) for invited paper by IEEE Journal of Robotics and Autonomous Systems. James Jenn-Jier Lien, Takeo Kanade, Jeffrey F. Cohn, and Ching-Chung Li, "Subtly Different Facial Expression Recognition and Expression Intensity Estimation," IEEE Conference on Computer Vison and Pattern Recogntion, pp. 853-859, Santa Barbara, CA, June 23-25, 1998. James Jenn-Jier Lien, Takeo Kanade, Jeffrey F. Cohn, and Ching-Chung Li, "Automated Facial Expression Recognition Based on FACS Action Units," Third IEEE International Conference on Automatic Face and Gesture Recognition, pp. 390-395, Nara, Japan, April 14-16, 1998. James Jenn-Jier Lien, Takeo Kanade, Adena J. Zlochower, Jeffrey F. Cohn, and Ching-Chung Li, "Automatically Recognizing Facial Expressions in the Spatio-Temporal Domain Using Hidden Markov Models," Workshop on Perceptual User Interfaces, pp. 94-97, Alberta, Canada, October 1997. Cohn, J.F., Lien, J.J., Kanade, T., Hua, W., and Zlochower, A, "Beyond prototypic expressions: Discriminating subtle changes in the face," Invited paper of Proceedings of the IEEE Workshop on Robot and Human Communication (ROMAN’98), Takamatsu, Japan, September 1998. J.F. Cohn, A.J. Zlochower, J.J. Lien, and T. Kanade, "Automated Face Coding: A Computer-Vision Based Method of Facial Expression Analysis," Journal of Psychophysiology, 1998. J.F. Cohn, A.J. Zlochower, J.J. Lien, and T. Kanade, "Feature-Point Tracking by Optical Flow Discriminates Subtle Differences in Facial Expression," Thrid IEEE International Conference on Automatic Face and Gesture Recognition, pp. 396-401, Nara, Japan, April 14-16, 1998. A.J. Zlochower, J.F. Cohn, J.J. Lien, and T. Kanade, "Automated Face Coding: A Computer Vision Based Method of Facial Expression Analysis in Parent-Infant Interaction," International Conference on Infant Studies, Atlanta, Georgia, April 1998. J.F. Cohn, A.J. Zlochower, J.J. Lien, Y.T. Wu, and T. Kanade, "Automated Face Coding: A Computer-Vision Based Method of Facial Expression Analysis," 7th European Conference on Facial Expression, Measurement, and Meaning, Salzburg, Austria, July 1997. J.F. Cohn, A.J. Zlochower, J.J. Lien, Y.T. Wu, and T. Kanade, "Facial Expression Can Be Measured by Image Processing of Video Sequences," Biennial Meeting of the Society for Research in Child Development, pp. 98, Washington, D.C., April 1997. J.F. Cohn, A.J. Zlochower, J.J. Lien, Y.T. Wu, and T. Kanade, "Facial Expression Analysis: Preliminary Results fo a New Image-Processing Based Method," Proceedings of the 9th Conference of the International Society for Research on Emotions, pp. 329-333, Toronto, Canada, August 1996. This page has been accessed times since April 1, 1998.